Data analytics is slowly becoming entrenched in the enterprise. Today, it's standard practice for businesses to use analytics to optimize something, whether it's operational efficiency, fraud detection or customer response time. So far, utilization has been fairly simple. Most organizations are still doing descriptive analytics (historical reporting) and their use of analytics is function-specific. In 2018, more organizations will follow the leaders and increase their levels of sophistication, using predictive and prescriptive analytics to optimize their operations. In addition, more businesses will start interconnecting function-specific analytics to get new insights into customer journeys, risk profiles, and market opportunities. In a recent survey of 1,500 global executives by EY and Forbes Insights, more than half of the participants planned to invest at least $10 million in data and analytics resources over the next two years. The report also noted that 70% of the most sophisticated organizations had used advanced analytics to overhaul their business strategies and update how they compete in their respective markets. The "leading" companies were also more likely to have some sort of cross-functional analytics in place enabled by a common framework that facilitates collaboration and data sharing. These cross-functional views enable companies to understand the impact of cross-functional dynamics such as supply chain effects. While descriptive analytics are still the most popular form of analytics today, it's not the best way to gain a competitive edge. Companies that want to move beyond "doing business through the rear-view mirror" are using predictive and prescriptive analytics to determine what will likely occur. Prescriptive analytics has the added benefit of recommending action, which has been the primary gripe about descriptive and predictive analytics. The forward-looking capabilities enabled by predictive and prescriptive analytics enable organizations to plan for probable outcomes, good and bad. The probabilities can be used to optimize operations during the forecast period, such as the likely demand for hotel rooms and meals when the World Series or a U2 concert comes to town. Armed with the probable patterns predictive and prescriptive analytics reveal, businesses can identify fraud faster or intervene sooner when it appears that a customer is about to churn. The combined foresight and timelier action help companies drive more revenue, reduce risks, and improve customer satisfaction. Faster time to insights has become a competitive weapon. With it, organizations are able improve customer satisfaction, manage risks more effectively and make decisions in a more agile fashion. Toward those goals, more analytics are transitioning from batch reports to real-time or near-real-time analytics, reducing what used to take hours or days to minutes or seconds. Part of moving faster is being able to prepare and process data faster than before. Given the shortage of data science talent, data preparation platforms have gained popularity as a fast and easy way to prepare data for analysis. Similarly, there are platforms that allow the average analyst or business professional connect to data sources using visual interfaces so they can analyze data at will on a self-service basis instead of waiting for IT to deliver a report. Artificial intelligence (AI) and machine learning take analytics to new levels, identifying previously undiscovered patterns that can have profound effects on a business, such as identifying new product opportunities or hidden risks. Machine intelligence is already built into predictive and prescriptive analytics tools, speeding insights and enabling the analysis of vast probabilities to determine an optimal course of action or the best set of options. Over time, more sophisticated forms of AI will find their way into analytics systems, further improving the speed and accuracy of decision-making. Rather than querying a system and waiting for a response, the trend has been toward interactivity using visual interfaces. In the near future, voice interfaces will become more common, enabling humans to carry on interactive conversations with digital assistants while watching the analytical results on a screen. Organizations are supplementing their data with third-party data to optimize their operations, such as adjusting resource levels based on the anticipated level of consumption. They're also sharing data with users and partners which necessitates strong governance and a focus on security to minimize data misuse and abuse. However, security is becoming increasingly complex as more ecosystems of data, analytics, and algorithms interact with each other. Given recent high-profile breach cases, it has become clear that governance and security must be applied to data throughout its lifecycle to minimize data-related risks. Data volumes are growing exponentially as organizations connect to data outside their internal systems and weave IoT devices into their product lines and operations. As the data volumes continue to grow, many companies are adopting a hybrid data warehouse/cloud strategy out of necessity. The companies most likely to have all their data on-premises keep it there because they're concerned about security. Companies incorporating IoT devices into their business strategies are either adding an informational element to the physical products they produce or adding sensor-based data to their existing corpus of data. Depending on what's being monitored and the use case, it may be that every piece of data does not have value and not every issue requires human intervention. When one or both of those things is true, edge analytics can help identify and resolve at least some common issues automatically, routing the exceptions to human decision-makers. The information gathered by IoT devices provides new insights that can be used to improve outcomes on manufacturing shop floors, in the enterprise and out in the field. For example, some emergency responders are using drones to map disaster areas so emergency personnel can be deployed more effectively. In a broad category such as data and analytics, it's tough to choose just 25 vendors out of thousands. The following were chosen for their ability to innovate and execute at scale. Amazon Web Services (@awscloud) offers a broad array products and services for processing, analyzing and visualizing data easily and cost-effectively, as well as AI products and services spanning frameworks and infrastructure, API-driven services and machine learning platforms. Birst (an Infor company; @BirstBI) provides a cloud-native BI, analytics, and data visualization platform for the enterprise. ClearStory Data (@ClearStoryData) offers a business-oriented data analytics platform that enables smart data discovery, contextual insights, and automated data preparation and blending. Dataiku (@dataiku) markets a collaborative data science platform that enables entire data teams to explore, prototype, build, and deliver their own data products more efficiently. Datameer (@datameer) provides an end-to-end big data analytics platform for Hadoop that enables businesses to directly integrate, analyze, and visualize data. HortonWorks (@hortonworks) markets a cost-effective data management platform and solutions for big data analysis. IBM (@IBMAnalytics) provides an end-to-end ecosystem of data, analytics, and cognitive capabilities. Kinetica (@KineticaDB) markets a GPU-accelerated analytics database for real-time insights on large and streaming datasets. MapR Technologies (@mapr) offers a platform that integrates Hadoop, Spark and Apache Drill with real-time database capabilities, global event streaming, and scalable enterprise storage for big data applications. MicroStrategy (@MicroStrategy) provides a unified platform for enterprise analytics and mobility. Oracle (@Oracle) offers enterprise SaaS application suites including database PaaS and IaaS. Its analytics platform provides visual analysis, discovery advanced analytics, reporting, and forecasting capabilities. Paxata (@Paxata) provides interactive, self-service data preparation at scale. TIBCO Software (@TIBCO) provides integration, API management, enterprise and edge analytics. The company also recently acquired Statistica, a data science platform provider. Trifacta (@Trifacta) provides a platform for exploring and preparing data for analysis, interoperating with cloud and on-premises data platforms. Learn how to manage growing volumes of data, harness them, and make them an asset for your business. 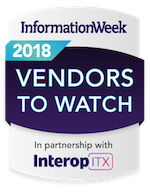 Attend the Data & Analytics Track at Interop ITX, April 30-May 4, 2018. Register now!